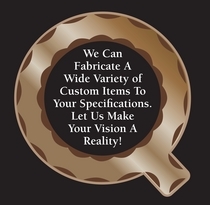 Quintessential Fence Company is dedicated to designing and creating quality and enduring products. All the products are made of high quality metal whether it is aluminum, stainless steel, or forged steel. Using different metals allows you the customer to achieve your vision for your project. Our designer and fabricator have trained in metalworking in Europe for over five years and have been in the metalworking business for over 25 years. Combining European elegance and American ingenuity, Quintessential Fence Company wants to create the Quintessential Fence, the Quintessential Gate, and Quintessential Rails. Please check out our calendar and see where we will be showcasing our products. See for yourself the strength and beauty of the Quintessential Line.